A conventional two piece design for immediate functional loading implantology. Here all the shortfalls of conventional design is been addressed and improvised. 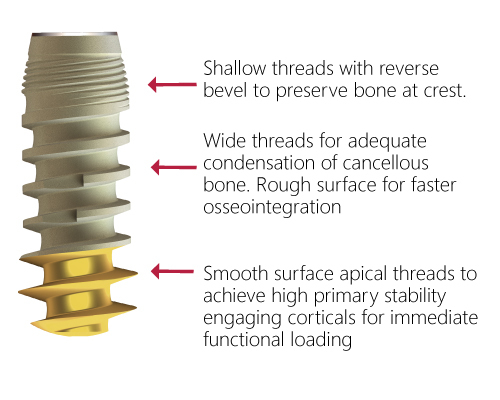 Its smooth surface noitis® cortical threads increases primary stability but resisting retrograde implantitis and reverse taper cervical threads preserving the crestal bone supporting gingival biotype and enhanced aesthetics.